Herman Miller Equa, 5-star base chair. Can be used as a task chair. 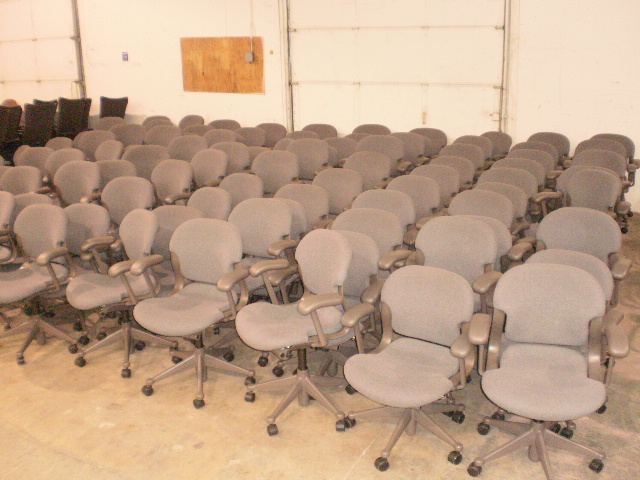 Mainly used as conference room and training room chairs. Pneumatic height adjustment, swivel-tilt. Gray fabric with MT paint finish. Good as-is condition with light cleaning. Tagged Herman Miller Equa Herman Miller Equa task chairs. Herman Miller Equa side chairs. Task chairs on Ohio. Chairs in Cleveland and Columbus. 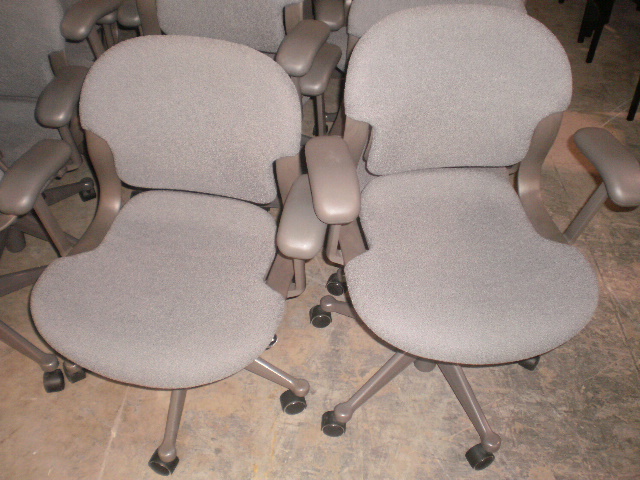 Find great used office furniture for your Pittsburgh business right here! 1 Comment on "Herman Miller Equa conference chairs"